Found as a rare, mini-miniature sized, cool growing epiphyte high in trees in Australia from southeastern New South Wales to southeastern Queensland at elevations of 900 to 1500 meters with small cylindrical pseudobulbs carrying a single, apical, elliptic, acute leaf and blooms on an erect, short inflorescence with single flowers occuring in the spring. It is best mounted on treefern and cork and grown in semi-shade with humid and cool year round conditions. 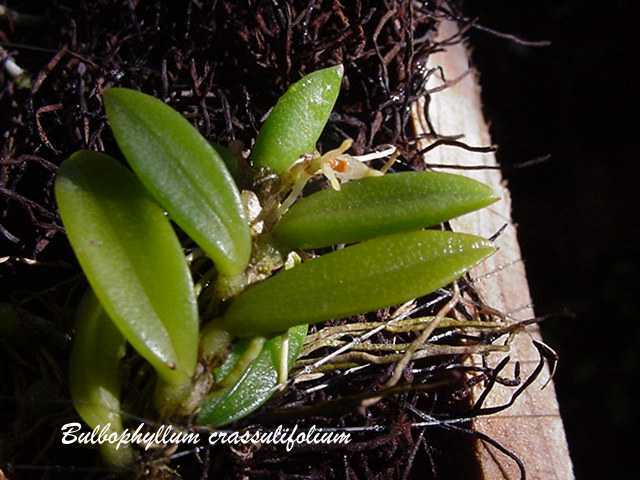 Sometimes cited as a synonym of Bulbophyllum shepherdii.